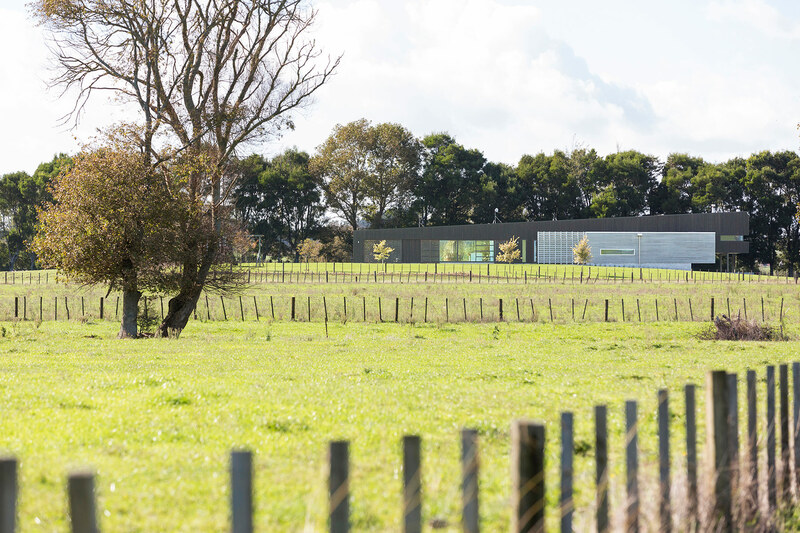 A dominant structure for a rural site, yet sitting perfectly against a natural backdrop of existing paddocks and tree lines. 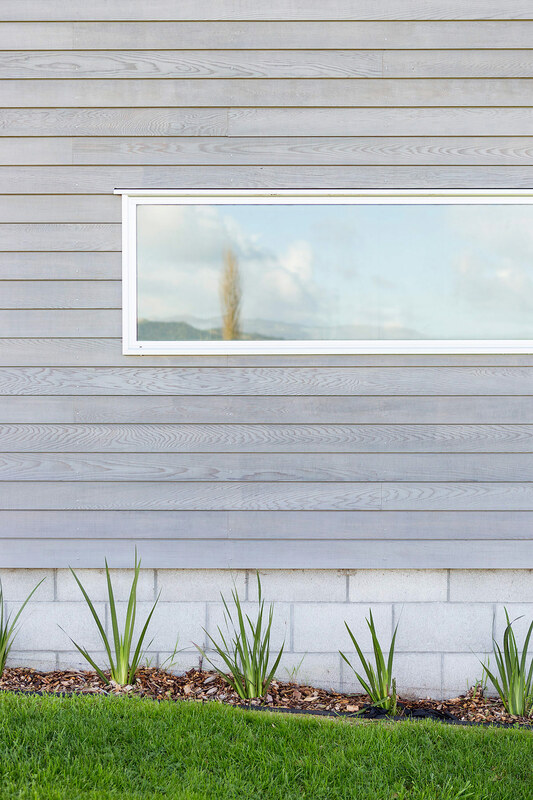 This country house is positioned on the family farm’s original cow shed location, and is pitched off the knoll of the property to maintain the integrity of the original site, without disturbing the land. 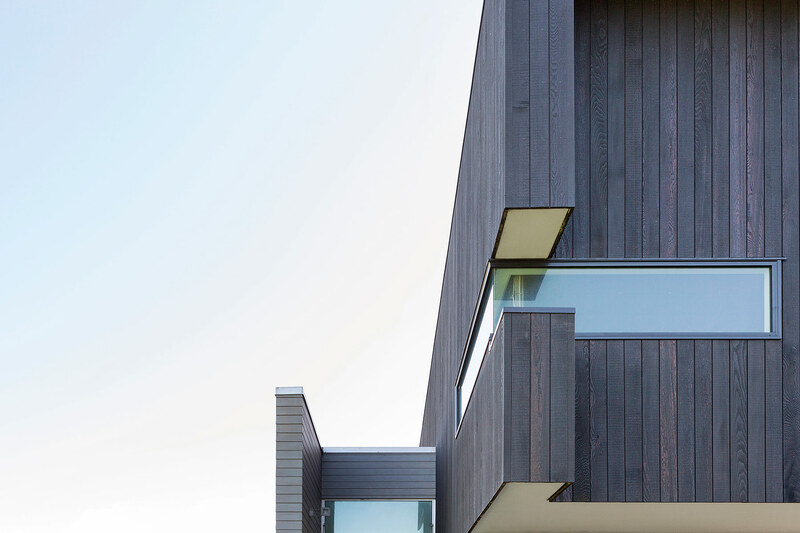 With a one room wide philosophy, a single black cedar structure, accented by silver cedar screens, floats on the site. This provides a visual connection to the east and west, whilst offering protection from the elements. 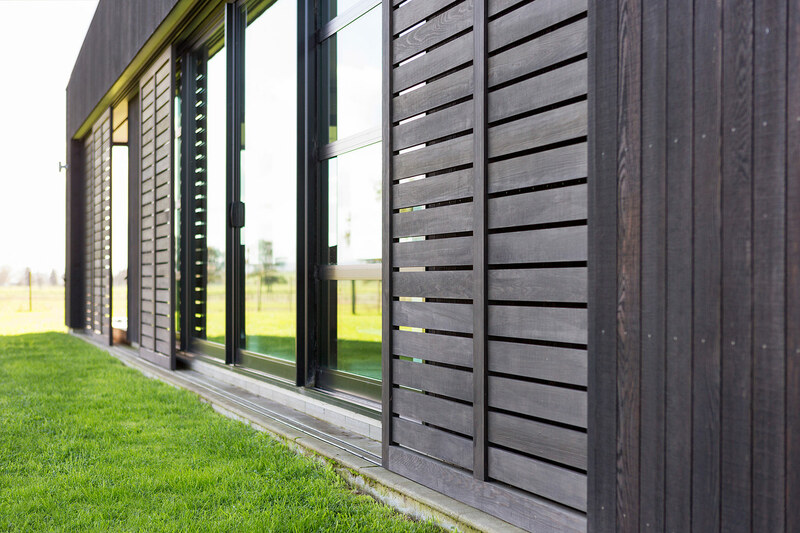 Black sliding cedar screens provide texture to the mass of glazing while being adjustable to provide protection against exposure to the farmland beyond.